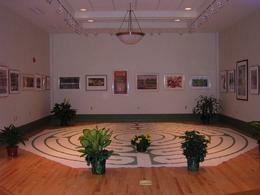 The meandering but purposeful path of the labyrinth is a metaphor for life. Unlike a maze, there is only one path in and out. There are no shortcuts, no dead ends, and the entire path must be followed to complete the journey. The labyrinth visually reminds us that we are walking a common path. 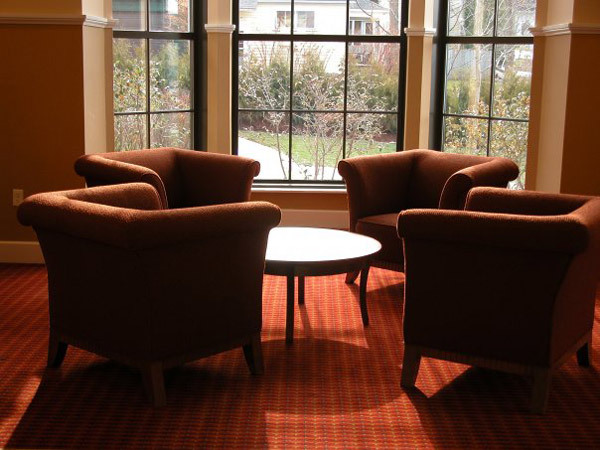 Often circular in design, they represent wholeness and unity. Interest in the labyrinth as a tool for relaxation, healing, building community, solving problems, and nurturing intuition, creativity, and artistic expression has increased significantly over the past several years. They can be found in hospitals, parks, schools, prisons, retreat centers, faith- based organizations, and private gardens. These ancient blueprints have appeared on every continent for thousands of years. They reflect the spiral images found so frequently in nature: a snail shell, a whirlpool, the inner ear. 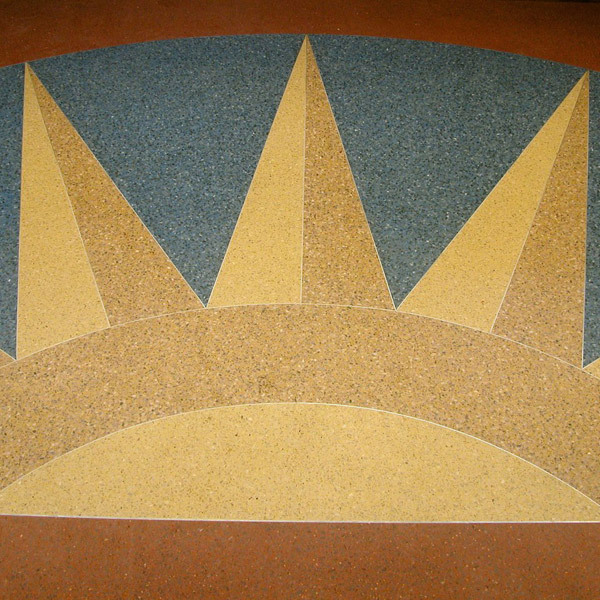 Labyrinth designs have appeared on rock faces, walls, coins, figurines, baskets, pottery, and mosaic pavement. 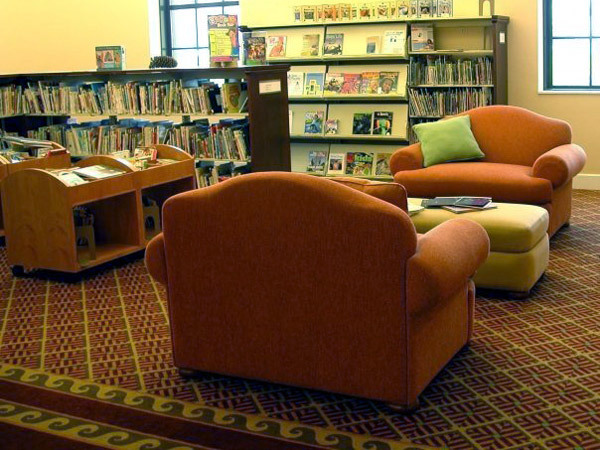 They have been sculpted into the earth, outlined in stone, and built into floors. In China, ancient manuscripts included labyrinth motifs. The labyrinth in the Greek myth of Theseus, Ariadne, and the Minotaur is a symbol for the hero’s journey. In medieval Europe, a pilgrimage often ended with a labyrinth walk. Scandinavian fishermen would walk one of many labyrinths built along the coast before setting out to sea. The Hopi associated their designs with rebirth and regeneration. Animal labyrinths in Peru were considered to be totems or “power animals”. The labyrinth has a universal appeal because it is not attached to any one culture or tradition. There is no right or wrong way to walk the labyrinth. You may pass other people on the path. Please be considerate. Those going in will meet those coming out. Pay attention to whatever you experience. It may offer you insight. Suggestions: Center yourself before you begin your walk. Consider walking with a question, an intention, or a challenge. Upon entering the labyrinth, gently let go of concerns and expectations. Find your natural pace. It may change during the walk. When you come to the center, enter with a quiet mind and an open heart. Pause there for as long as you like. As you walk out, take the experience with you as you prepare to return to daily life. 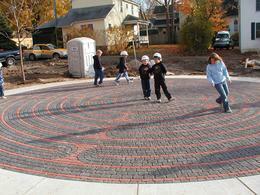 The Petoskey Community Labyrinth is located on the grounds of the Petoskey District Library. Thirty-five-feet in diameter, it is of the medieval, 11 circuit “Breamore” design. It was constructed by The Labyrinth Company of charcoal and red paver brick. 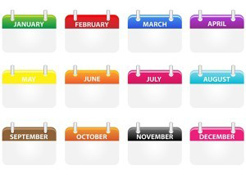 The Community Labyrinth is open to users year-round. 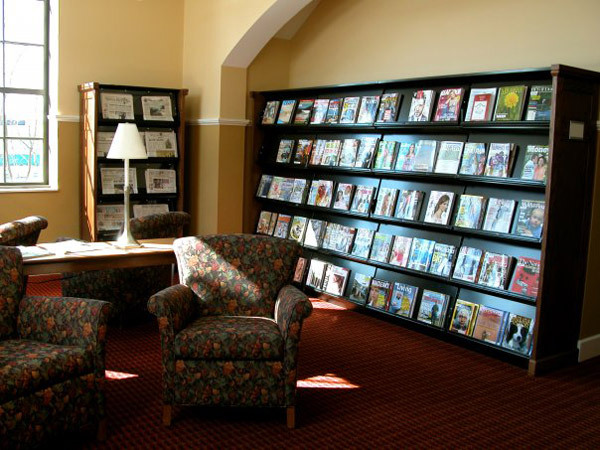 It may be used by for-profit organizations for $25 at the discretion of the staff. Sound levels during Labyrinth usage must be such that they cannot be heard in the Library. The indoor Santa Rosa labyrinth painted on canvas is 20′ in diameter. 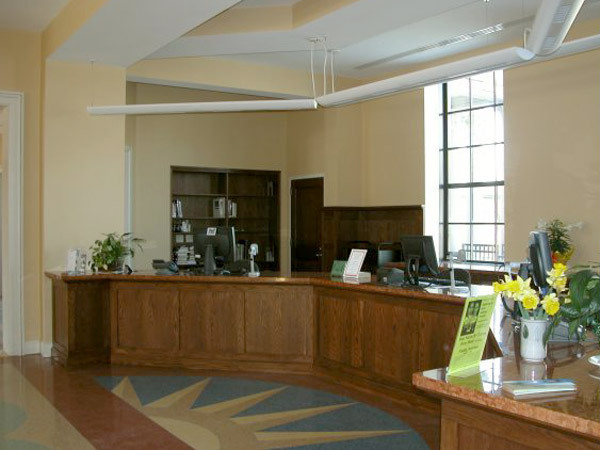 It is available for use by local organizations with payment of a security deposit. Call Chuck Donnelly, Office Manager at Emmanuel Episcopal Church, 231-347-2350 or email for more information. 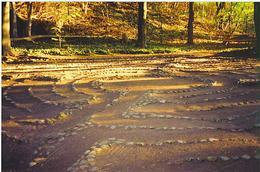 Among the other labyrinths in northern Michigan is one located at The Ellsworth Labyrinth Garden. Of the medieval type, it is based on the Chartres Labyrinth. There is also a finger labyrinth at the entrance. Visitors may trace out the design of the labyrinth with their fingers if they so choose. 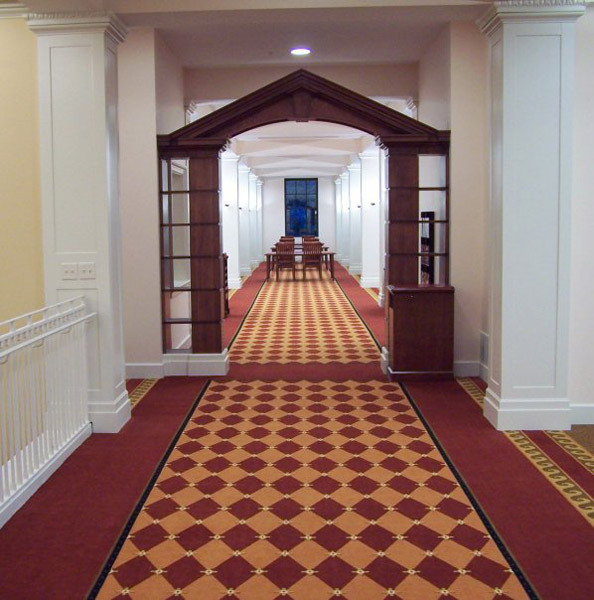 The labyrinth at the Grand Hotel on Mackinac Island is free for hotel guests. For non-guests, an entrance fee required for use of the labyrinth and grounds. 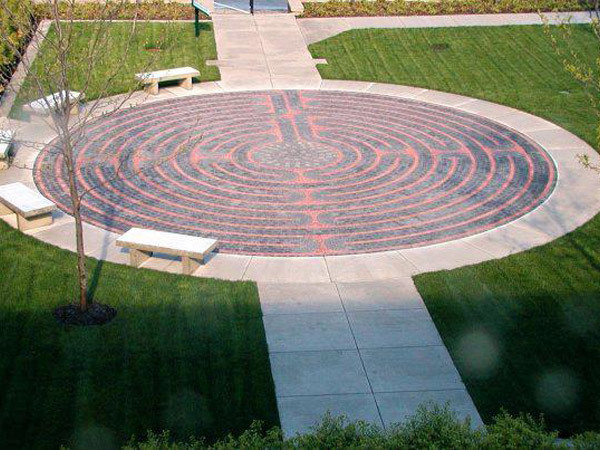 This classical 7-circuit labyrinth is 32 feet in diameter and can be found on the grounds of Mercy Hospital in Grayling. 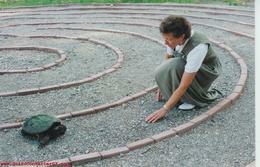 The turtle decided to explore the labyrinth shortly after it was completed. 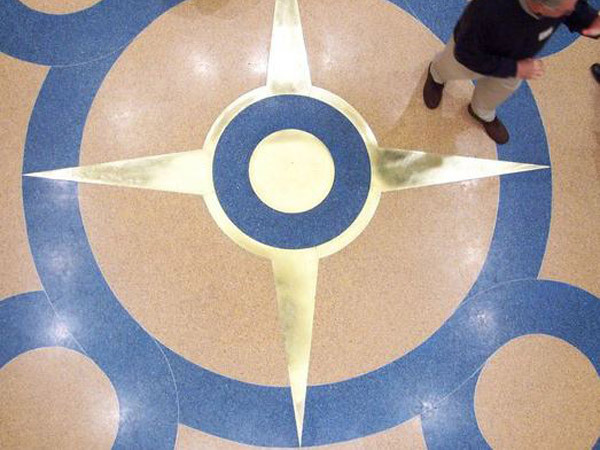 Raven Hill Discovery Center’s labyrinth is of the classical style. The labyrinth is a permanent, outdoor labyrinth. It is 35 feet in diameter and is laid out in fieldstones. The labyrinth is unique in that it grows as visitors to the Center bring larger rocks from home to replace the smaller rocks outlining the paths. 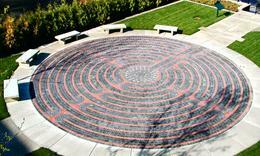 Raven Hill’s labyrinth is open to the public at all times. 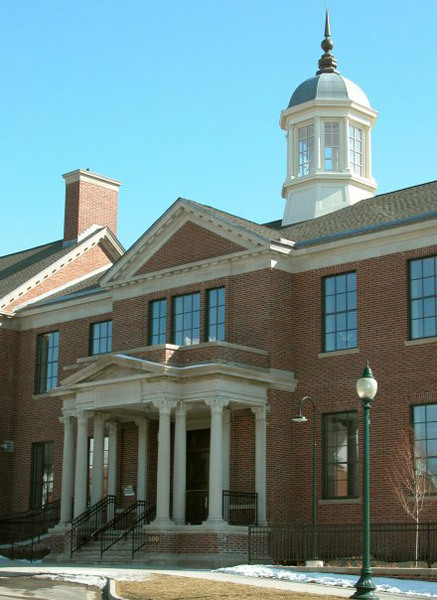 It is located at Raven Hill, which is between East Jordan and Boyne City, Michigan just off C-48 at Pearsall Road. To find other labyrinths, visit the World-wide Labyrinth Locator.